In my case, the thing that mostly draws me to retellings is that magical element. The anything can happen vibe mixed with a dash of serendipity. That is not the case with this story, because it removes every magical/serendipity element and gives its readers a cold hard reality. A cold harsh reality of people living difficult lives in dangerous and bleak times, especially for women. That was not what I was expecting, because it ended up being a boring narrative most of the times. 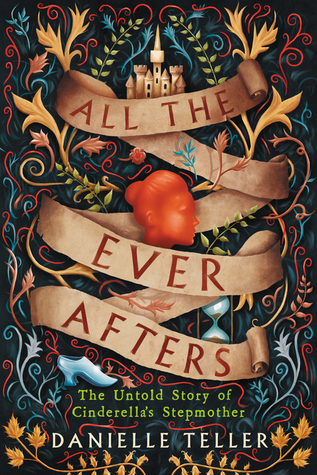 Like I mentioned in one of my updates for this book, this could be called 'Agnes: A Tale of Drudgery'. There's a lot of 'not going anywhere, and not specifically interesting' details! So, what kept me reading, you might ask? Well, unfortunately for me, it is extremely well written. -_- So, even when I was mumbling to myself, 'please, no more hair descriptions...', I was reading it! And I think I finished this in less of a week; which for me lately is almost a miracle! Ha!! So, what can you expect from this? 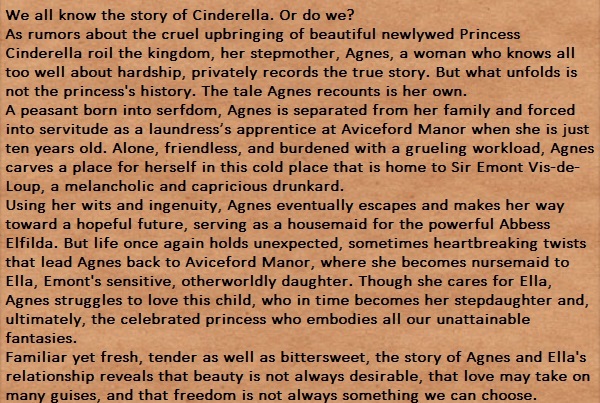 Oh, and all the 'bad things' that the stepmother is rumored to have done to the Cinder girl ? And people needing therapy for all the lying they do!! But, it is really well written!